The Vietnam Swine Crisis: This Little Piggy Probably Won’t be Going to Market! Swine farming plays an integral part in Vietnam’s agricultural output. Between 2013 and 2016, Vietnam’s local hog population grew at 11.0 per cent, leading to a supply of 54.46 million pigs. Domestic pork demand accounts for around 75 per cent of Vietnam’s pork output and a small portion of the output is officially exported to neighbouring markets. 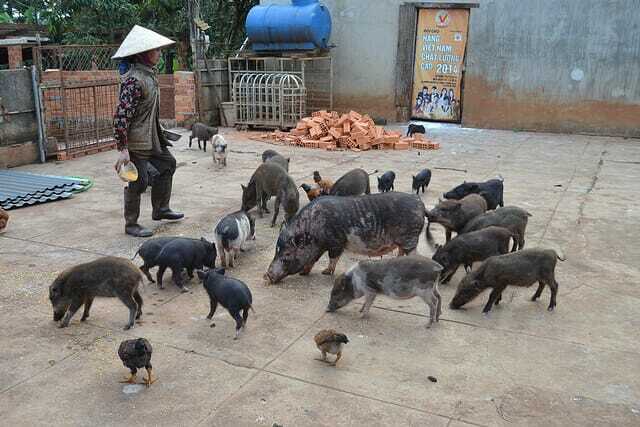 China nevertheless imports large numbers of Vietnam’s live hogs through undocumented trade along the Vietnamese border with China’s Guangxi and Yunnan provinces. Reaping rewards from a dramatic increase in the Chinese hog imports, Vietnamese swine farms rushed to increase the sow herd and overlooked previous incidents when the borders were arbitrarily closed due to the erratic nature of undocumented trades. This has led to a decline in prices which are expected to recover slowly. The Pig Site provides a 2017-2018 snapshot of the Vietnam Swine Market report from Ipsos Business Consulting.